We rely on gifts and grants to provide the extras that enrich the daily experience for our participants. All gifts are appreciated and fully utilized to benefit those in our care. You can direct a monetary gift to a discretionary fund. 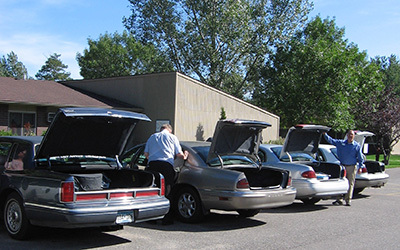 You can donate a vehicle in good condition for transportation. You can give a gift from "Other Needs List." Undesignated donations are applied where needed most. If you have questions or would like more information, contact us either by phone or the web link. To make a monetary donation, you may send a gift to our mailing address or utilize the GiveMN.org or PayPal gateways. Breath of Life is a 501(c)(3) non-profit organization and all gifts are tax deductible. Did you know that Amazon has a Foundation that donates to charities chosen by their customers at no cost to you? If you shop on Amazon, you can choose a non-profit through their AmazonSmile website or just click on this link one time http://smile.amazon.com/ to choose Breath of Life as your sponsored non-profit. The AmazonSmile Foundation will then donate 0.5% of the purchase price from all your eligible AmazonSmile purchases to Breath of Life on an ongoing basis. They do all the work, Breath of Life reaps the benefits whenever you make a purchase through AmazonSmile. For more information about the program and how it works, you can read About AmazonSmile. Thank you for supporting Breath of Life. 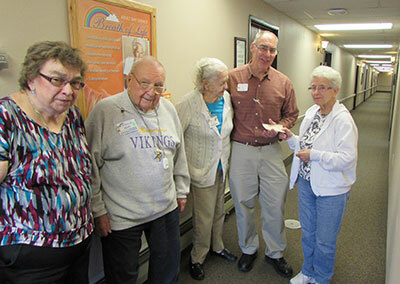 Breath of Life is a 501(c)(3) non-profit Adult Daycare Service organization. We provide care for elderly and dependent adults. Our population is currently over 45 men and women and 20 of them are Veterans. We average 7,000 miles per month transporting our participants to and from Breath of Life. Our five vehicles now have over 700,000 total miles and require more maintenance. If you would like to donate a vehicle, contribute to the cost of maintenance or as a dealer, donate a portion of the purchase of a newer vehicle, contact us for more information.